Most people and consultants are aware of the common phrase “the first step is awareness.” But a good number of people think that means just learning the “lingo” of the particular assessment or methodology and what their “type” is. 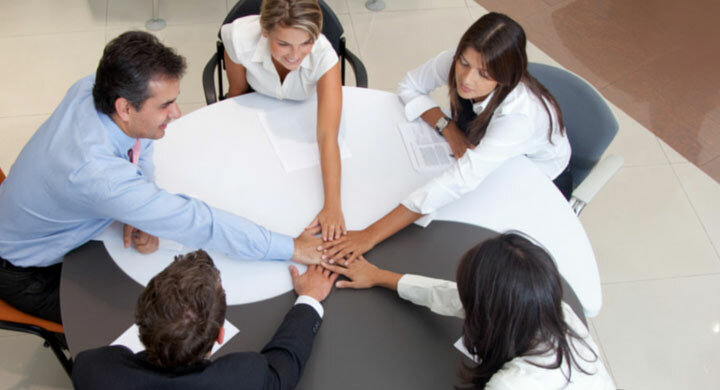 We encourage the leader, team and participants to honestly evaluate the current effectiveness, strengths and challenges of the team, including, their strategy, goals, and organizational structure (roles, process, and technology) that supports the execution of tasks to accomplish those goals. A more comprehensive review of how the team is working within the context of organizational factors, combined with, an analysis of the different behavioral styles, their natural strengths and struggles, the fit for the role and the fit within the organizational structure, values and behaviors (some people call this ‘culture’) will lead to a greater depth of understanding. But never stop at Knowing. Many people do and that is why they don’t see a lasting value with these exercises. The entire team, with the leader leading by example, needs to actively participate in the dialogue of what to do with this knowledge. And it can’t be just one team session talking “about” it. The team discussion needs to focus on how to apply this knowledge to their people, process, and technology. Each team member has to internalize ownership by explaining specific actions they are going to take to change how the team is working together. Often people want to focus on what other people need to do and not take ownership. Is the reason the budget process is ineffective due to the instructions not being specific enough for Cooperative people who work better with specific instructions? Is the process so detailed and constraining that Creative people have even more difficulty following it and the goal is not accomplished? Does the CRM / HR / Process technology incorporate this behavioral knowledge in a way that is easy to access and apply at the moment? Even great leaders and team members, tend to stop at the team session. Research shows that people, on average, require 7 interactions to be able to absorb information and change behavior. Most of us are lucky to communicate something 3 times before we lose patience. In order to truly grow the organization, there needs to be an intentional, specific, coaching or action plan (practice) over time with clear expectations to ensure that all this great learning translates into sustainable productivity enhancements. What does true collaboration look like? Collaboration is a structured, recursive process where two or more people work together toward a common goal-typically an intellectual endeavor that is creative in nature?by sharing knowledge, learning and building consensus. Much of what we need to do in order to make an organization function requires us to work with other people. Traditionally, it takes time to learn how to interact with each person’s style, how to agree on the steps to take, roles and responsibilities, and individuals’ deadlines for a common goal. Managers incorporate various degrees of structure by defining roles and responsibilities, processes, project management, and methods of communication to complete the tasks to accomplish the goal. There are various and differing opinions about how much structure strikes the right balance between helping to accomplish the goal efficiently and becoming a road block to productivity and creativity. If not enough structure is in place, the team may be perceived as ineffective. Deliverables may not meet the expectations of the “customer” and/or leader(s) in terms of scope, quality, timeline, and/or budget. Often, in this low structure scenario, miscommunications occur. Conversely, if there is too much structure, the team may be perceived as ineffective as well. In this scenario, it might be a time sink to go through all the process steps and the instructions may be so voluminous, people get lost and have trouble following the structure in place. In fact, too many meetings may take place that are focused more on the structure than on the goal, leaving a lull in initiatives moving forward. People may feel very restricted and disengaged and ultimately, Creativity is squashed. For true collaboration within an organization or team, the structure and culture has to support two-way communication (creative conflict) built upon trust. How much structure should you have in your organization? 1) How big is your organization? If you are a small company with just few people working together, less structure may be preferable. A company with fewer people requires each person to understand more of the bigger picture. They typically have to do many of the tasks themselves and there may be fewer interactions needed with other people. If you are a growing or larger sized company, the more people you have, the more structure you may need in order to be effective. People may be added in order to handle higher volume. More people typically means that each person handles a smaller part of the bigger picture. People become specialized in their roles with specific tasks. The more interactions and hand-offs it takes to complete, the more guidelines and processes you may need to help everyone understand how to work together effectively. 2) What culture do you want to foster? If you want to foster innovation and creativity, then you may want to have less detailed structure and more general high-level guidelines. Focus more on the goal you are trying to achieve, the communication channels needed to keep everyone in the loop, and fostering communication. Allow the team to figure out how to get to the end goal. If your organization needs to foster nimbleness and an ability to react to changing customer demands, you also want to have less detailed structure and more high-level guidelines. Fewer restrictions allow employees to develop problem-solving skills in addressing customer issues quickly and foster engagement. If your product has to be delivered precisely and there is no room for variability, then you will need more detailed structure and processes with step-by-step instructions. If your organization is struggling with delivering and meeting expectations, then you will also need more detailed structure to help people stay on track. The detailed structure will hold people accountable for next steps /tasks and due dates, along with providing a more detailed analysis of the location of the breakdowns in the process and communications. 3) What are the natural behaviors of the people on the team? If you have a team full of naturally take charge, spontaneous, and creative people, you will need at least a little structure to help keep them focused and productive. However, you don’t want to squash their natural strengths in problem solving, finding new or better solutions, and reacting instinctively to a dynamic business environment with too much structure. If you have a team that is naturally very cooperative, planned, and anchored, they will need more structure to take advantage of their natural strengths of being able to follow instructions, ensure tasks are completed and results are delivered. These types of people are great at getting things done when the working environment is well-defined and there is less ambiguity. Ideally the team would consist of a mix of traits that can provide for the proper balance of strengths to provide the best results. How you add structure, and the culture you encourage, is important to fostering collaboration and creativity while still having enough structure to reduce miscommunication and issues and to ensure the outcome meets expectations. Do you have the right level of structure in your organization? Use this Guide to aid in evaluating your team. 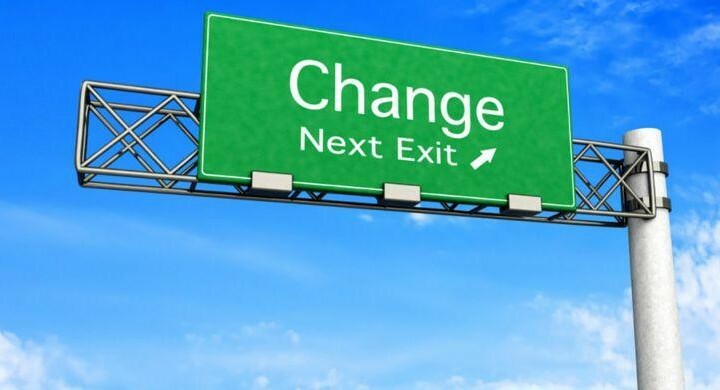 You, as the reader, will learn one important thing in reading this today: effective change management as a key ingredient in preventing the perception of failed projects and change initiatives. There are a multitude of factors at play to see a project or change through successfully from start to finish. First, it is important to understand how far out the initiative reaches. Regardless of the business, change needs to be identified and addressed at all levels: program level, organizational level, project level, and product level. This hierarchy touches on changing the approach to company vision (program level), changing people/ roles and processes (organizational), specific project scope changes and changes in technology, and product or service features (product level). At any one level there are multiple variables to keep in mind and sometimes missed variables can lead to delays or ultimately, failed projects. So, what is the key to achieving a successful initiative? 1) Establishing clear expectations of the project (not just the due date) and it’s alignment with the organization’s overall objectives. 2) Prioritizing all major enterprise efforts and emphasizing the need for organizational resource planning. Budgets for key projects should include back-filling key operational roles so the Subject Matter Experts are working on the project. Asking your best functional resources to work the project off the side of their desk seldom works and can be a key contributor to failure. 1. The people who are setting the scope, budget, and timeline need to listen to feedback from the people who will be responsible for executing those deliverables before committing to a plan. To encourage unity and team accountability, the people setting the direction need to be held equally accountable as the people delivering. 2. Encourage a culture of Relationship Change Management by ensuring the team is having an ongoing dialogue with key stakeholders. This open dialogue should be present at every phase of the project from the team selection through post-implementation support in order to ensure buy-in and ownership. Those efforts with a dedicated Communication and Change Management role, where activities are tracked in the project plan, will have better results. 3. Practicing honesty with oneself. Too often, as leaders, we want to believe something will cost less, take less time, and provide more benefit than the reality. C level executives need trusted messengers who are closer to the work to provide them with unfiltered information, especially if the news is bad. 4. Spending more time ensuring the key roles are filled with people who have the right experience, skills, and natural behaviors to ensure success. 5. Holding people accountable which also includes enforcing a culture of quality assurance. Motivate team members using both the carrot and the stick methods. Bonuses tied to project deliverables can be very effective if they are meaningful and permeate all levels of the project. Removing a problem person from the project catches people’s attention as well. As a leader, it is important to remember that the two-way communication should be incorporated in every aspect of the project and organization. This will ensure that your organization is operating on the most accurate facts and can therefore, affirm the success of a project or change initiative. Setting up such a unified culture is most effective when it starts with the leader. It never ceases to amaze me how many organizations rely on groups of people (teams) to deliver significant outcomes for their business, yet invest little resource into understanding the behaviors, communication style and working environment needs of individual members. Trust doesn’t appear over night. It takes time. It requires the sharing of personal knowledge. It’s built upon respect, empathy, and a certainty that the relationship is being developed in a mutual way. Trust increases communication and open, honest communication is essential to building a high-performing team. Most organizations know the importance of building teams through 1) a shared vision, 2) ensuring that team members have clear roles and responsibilities and 3) are led by a leader whose people skills are honed and mature. But few invest the time or resources into understanding the behavior and communication style of the individuals within a team. Trust cannot be built if team members don’t know each other at a deeper level. If they don’t know how to communication with colleagues and if they haven’t shared how they wish to be communicated! Trust begins not with knowing how talented a person is (though talent is important to have in a team) it begins by uncovering the core of a person, the behavior that is inherent and will remain steady under pressure. When that is revealed, relationships can be formed in an open and transparent way ? then trust can begin to be built. Trust is fragile and can be lost quickly through negative experiences which makes it all the more important for it to be built on a firm foundation of communication, information sharing, ideas and opinion sharing, constructive criticism and problem resolution. Understanding each other’s communication and behavioral style builds a bridge between people that makes trust much easier to be formed in team relationships. Unlocking inherent behaviors not only reveals communication and decision making styles it also uncovers values. So why is revealing someone’s values important in teams? It ensures leadership can introduce guidelines that line up with the individual’s values which ensures teams are far more likely to respect and follow them. Entrepreneurs are able to take a new idea and translate it into a tangible business venture through hard work and determination. Successful business leaders are not only savvy on how best to maneuver into a new market, acquire investors and engage customers, but also optimize human capital and skills to complement enterprise strategies. Entrepreneurs must leverage the resources available to generate revenue and increase growth potential. Without proper management of employees, companies may be dragged down by weak practices or delay expansion projects due to a high turnover rate or low productivity levels. Business builders are in charge of numerous aspects of business operations, including coaching managers on how to promote a positive company culture in the way they treat and oversee their staff. Managers must be equipped with the necessary training, skills and experiences to empower employees rather than stifle them. 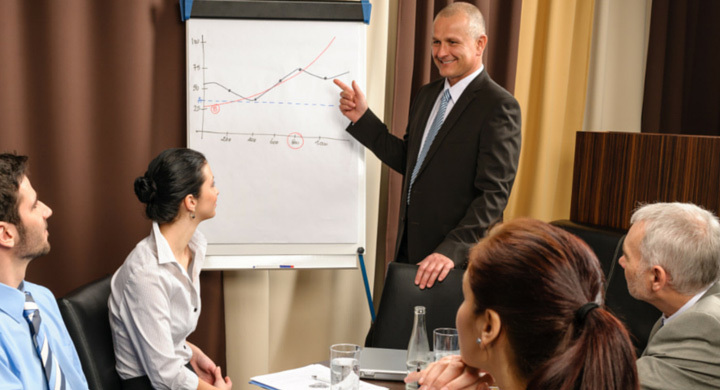 Particularly in service-oriented companies such as a financial advisory firm, it is imperative for managers to know how to listen to their workers to effectively teach to their skill set and nurture strengths for business growth. Business leaders must make sure they are creating an environment for staff to feel comfortable expressing ideas and trying something new, without fear of an adverse reaction from an overly involved supervisor. When a boss micromanages their team, staff will have little room or motivation to grow within the company. A stifled employee will likely not feel appreciated by their supervisor(s), dread coming to work each day and offer minimal productivity levels. These unsatisfied workers will operate as if constantly waiting to be reprimanded, corrected or rejected by a superior and may eventually leave the company.